120 of the top Optimist sailors in the world including Bermuda converged this week on the southern coast of Cyprus at the Famagusta Nautical Club to compete in the 2018 Mediterranean Optimist Championship. Since Famagusta is hosting the 2018 World Championship later this week, this regatta for many is serving as a “pre-World Championship” event. 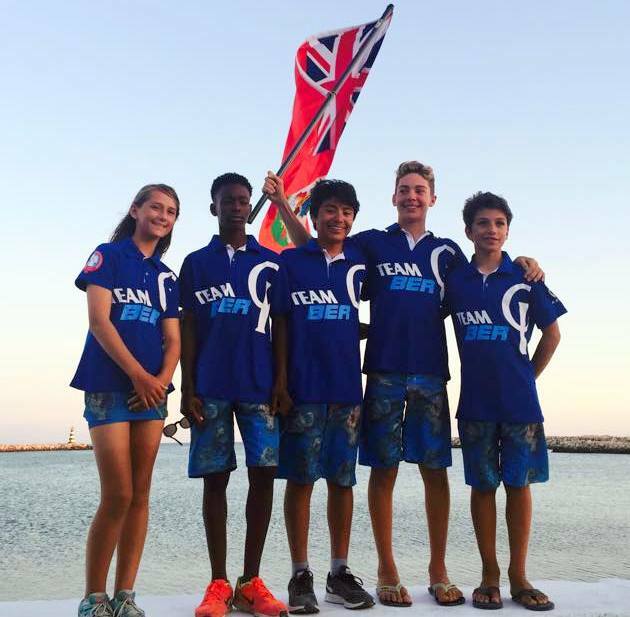 Three races were held with Sebastian Kempe leading the Bermuda Fleet finishing in 42nd place with 70 Net Points, with a top place finish of 14th. Ahzai Smith was 52nd with 84 Net Points, with 18th being his highest finish. Leyli Walker was 59th overall she had 99 Net Points. Christian Ebbin was 64th with 105 Net points and Magnus Ringsted finished 68th with 109 Net Points.